1, 2 or 3 scoops fit just right in our large waffle cones. Currently available in vanilla, chocolate and cinnamon. See product details below. 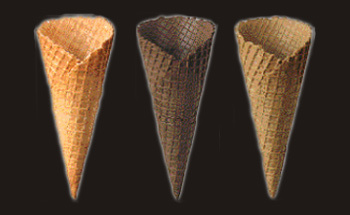 Contact us for more information on our Large Waffle Cones.